October, 2009 | TELLING IT LIKE IT IS ! BIG GOVERNMENT AND HOW BIG GOVERNMENT WORKS ! Once upon a time the government had a vast scrap yard in the middle of a desert. Congress said, Someone may steal from it at night.” So they created a night watchman position and hired a person for the job. Then Congress said, “How does the watchman do his job without instruction?” So they created a planning department and hired two people, one person to write the instructions, and one person to do time studies. Then Congress said, “How will we know the night watchman is doing the tasks correctly?” So they created a Quality Control department and hired two people … one to do the studies and one to write the reports. Then Congress said, “How are these people going to get paid?” So they created the following positions, a time keeper, and a payroll officer, then hired two people. Then Congress said, “Who will be accountable for all of these people?” So they created an administrative section and hired three people, an Administrative Officer, Assistant Administrative Officer, and a Legal Secretary. Quietly, we go like sheep to slaughter. Does anybody remember the reason given for the establishment of the DEPARTMENT OF ENERGY…. during the Carter Administration? Bottom line: We’ve spent several hundred billion dollars in support of an agency… the reason for which not one person who reads this can remember! Ready?? It was very simple … and at the time, everybody thought it very appropriate. The Department of Energy was instituted on August 4, 1977 TO LESSEN OUR DEPENDENCE ON FOREIGN OIL. NOW IT’S 2009 – 32 YEARS LATER – AND THE BUDGET FOR THIS “NECESSARY” DEPARTMENT IS AT $24.2 BILLION A YEAR … THEY HAVE 16,000 FEDERAL EMPLOYEES AND APPROXIMATELY 100,000 CONTRACT EMPLOYEES; AND LOOK AT THE JOB THEY HAVE DONE! Ah, yes – good ole bureaucracy. AND NOW, WE ARE GOING TO TURN THE BANKING SYSTEM, HEALTH CARE, AND THE AUTO INDUSTRY OVER TO THE SAME GOVERNMENT? THIS IS A GOVERNMENT FOR DRUGS ! Employees at the Justice Department must have a lot of time on their hands now that the Obama administration has stopped prosecuting obscenity and marijuana use. Yesterday, Attorney General Eric Holder said that enforcing federal drug laws isn’t a “priority” for this President. The debate is over 14 states, which, in contradiction to U.S. law, allow patients to use marijuana for medicinal purposes. Under the Bush administration, the DOJ didn’t target the sick, but it did clamp down on “larger operations that were selling marijuana for recreational use.” Obama has abandoned that approach and made it easier for criminals to sell to anyone – so long as they claim to produce medical marijuana. In states that do allow it, medical marijuana has opened the door to “pot clinics” that prescribe weed for everything from sleeplessness to stress … an any excuse will do to smoke pot mentality. 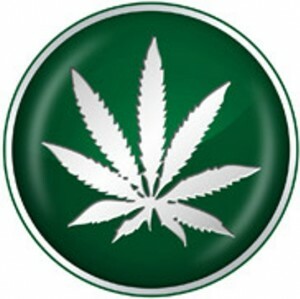 But despite its so-called benefits, medical marijuana is even opposed by the American Medical Association. After all, what kind of doctor would prescribe smoking as a legitimate treatment for anything? Global Warming and CO2? Where’s the real evidence? It was kind of a cool summer, wouldn’t you say? And those folks enjoying the early snows out west this fall, well, they might actually be praying for a little global warming. Taking care of the earth is important but global warming is not a scientific fact. The new movie Not Evil Just Wrong makes that clear. But that’s not stopping leaders in wealthy Western nations from pushing radical “solutions” to this dubious problem. Therefore, as MIT’s Richard Lindzen says, we must distinguish between pollutants and CO2. He says, “When you see smokestacks in this country, it is very rare that you see black soot. We have tons of environmental regulations designed to control real pollutants.” CO2 is not a pollutant and has been regulated as hazardous only for the governments agenda grab for taxes and power. Notice that he says “in this country.” Global warming activists would be happy to slap moratoriums on the building of coal burning plants here in the U.S. Even better, they would like to see existing plants eliminated. This would crush American industry – maybe 7 million American jobs are associated with coal alone. And, ironically, it would boost industry and production in China and India, were there are virtually no environmental regulations, and where they use “dirtier” coal than we do in the United States! The unintended consequence, of course, is that by shutting down coal and coal-based industries here, we end up increasing global air pollution, which comes from dirtier plants overseas. The film also questions another global warming proposition – that is, that even slight rises in global temperatures would be catastrophic. Well, it would be catastrophic if you consider increased global food production and human flourishing a bad thing. Europe, for example, thrived during the Medieval warm period. In the latter Middle Ages, when temperatures dropped dramatically, crops failed, malnutrition and disease was rampant – millions perished, and the human “herd” was culled, if you want to put it that way. I urge you to see the film Not Evil Just Wrong, being distributed by the Cornwall Alliance for the Stewardship of Creation. You can get a copy for yourself, your friends – or maybe even for your congressman. SUPPORT OUR TROOPS OR EARMARKS ? Our troops will be interested to know that the Senate is focused on bringing home a victory in one particular campaign … their own! When the chamber marked-up the Defense Appropriations Bill, some Senators started siphoning away billions of dollars in military equipment for their own pet projects. At last count, there were over 778 earmarks attached to the bill, most of which are completely unnecessary or irrelevant – or both! The Washington Times exposed a few of these “needs”. “Among the… pork packed into the bill: $25 million for a new World War II museum at the University of New Orleans and $20 million to launch an educational institute named after the late Sen. Edward M. Kennedy, Massachusetts Democrat.” Adding insult to what could be real injury liberals are trying to attach legislation to the Defense bill that would give the District of Columbia full voting rights. This backdoor approach seems to be the strategy du jour for the leadership, who used this same maneuver to pass the “hate crimes” legislation in the House earlier in the month. Liberals know that D.C. voting rights (much like “hate crimes”) is contentious and unpopular – and very unlikely to pass as a stand-alone bill. But rather than work out the issue democratically, Senate leaders are using another Defense bill as a vehicle for their radical agenda. While our soldiers wait for new supplies, fuel, and training, leaders are either delaying the bill with constitutional questions or trying to funnel money away from soldiers to finance their own political interests. Senator Mary Landrieu (D-LA.) defended her pork – an extensive World War II museum in New Orleans – saying it would be a “constant reminder to future generations about the tremendous sacrifice of millions of Americans.” That may be true, but instead of building bigger memorials, we should concentrate on keeping our soldiers from becoming part of one … first!